As hard as it can be to treat and eliminate acne, more and more people are turning to their doctor for help. And with the approval of Epiduo by the FDA early last year, more and more people are receiving prescriptions to use Epiduo. 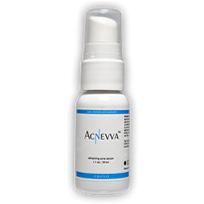 Early indications have shown mixed results when it comes to using one of the latest acne treatments only available through prescription. 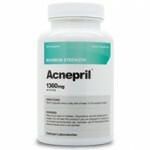 So what do you need to know about this relatively new acne treatment? Before using any acne treatment it’s important to find out how it works, the ingredients, the skin type it should be used on, the side effects and the benefits. And most people want to know the price and how long it will take to see results. Keep reading and let us shed a little light on Epiduo for you. 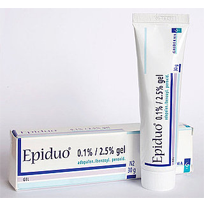 Epiduo is a topical gel you apply directly to acne comprised of two main ingredients: adapalene in a 1% concentration and benzoyl peroxide in 2.5% concentration. These two ingredients have proven to help fight acne and are only available in this high of concentrations in prescription acne medications. Unfortunately, as powerful as these key ingredient can be when it comes to fighting acne, they often leave the skin feeling dry, irritated, red and itchy even in lower concentrations. Many users report their skin feeling worse after using Epidou even though their skin is clear of acne. It makes for a real debate for most people looking to fight acne and you have to answer the question: Is eliminating acne any good if the skin is irritated? That’s the question individuals should ask themselves before considering Epiduo because while it can help fight acne, it’s likely going to leave you suffering, especially for anyone with sensitive skin. In fact Epiduo should be avoided in most cases if you have mild to extremely sensitive skin. What Else Should You Know About Epiduo? If you’re suffering from acne and regular breakouts, you might pay any price for something that works, but the price for getting a prescription for Epiduo depends on your health insurance. But no matter your health insurance, you have to go through the hassle and take the time to see a physician to get Epiduo. Most users begin to see Epiduo working and showing visible results within about two months. But they start seeing the irritations much sooner. 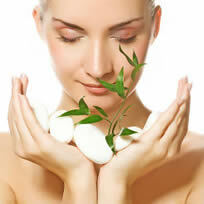 Many times acne returns after discontinuing use. Epiduo could be the treatment your skin needs, but don’t count on it if you would rather keep you skin healthy. The key ingredients are notorious for side effects and leaving the skin feeling worse. The truth is better options exist with the same ingredients and without the prescription. And if you want something without irritating ingredients, you can find all-natural treatments that provide relief from acne without the skin-damaging side effects. Overall, it’s hard to recommend a product like Epiduo even if it does show improvements in your acne because of the potential side effects. I was prescribed this the first time I visited a “new” dermatologist. I have struggled with cystic acne for 15 yrs. This product DOES NOT make them dry up or go away. I’ve had better results with Burt’s Bees! Which still doesnt entirely make it go away… Just say no if you’ve been fighting this acne battle very long. Ive been using epiduo for a month and a week so far and my face is sooooo bad. Im breaking out on every inch of my face and it was not this bad before. Even though im breaking out i see scares from previously have faded or disappeared. It says people see results within two months so im going to wait it out and hope this is just a process towards being clear. I was browsing online and some people say wait 3 mths! but idk how much i can handle it. I will comment again after at least two mths of using product and its effect. I actually participated in a double blind study to get this very medication approved by the FDA. I did not know it was the real thing until after the study was over, and they offered to send something to my Dr. To have them write me a script for the 2 meds seperately. The study was to prove they work better together. During the study my skin cleared up and even my red blotchyness went away, I have never seen my skin look so good. I did have some irritation in the begining, but that went away when I changed to a milder soap and stopped exfoliating once a week (something I had always needed to do before). I have seen a few bad reviews on this medication, but you shouldn’t tell others not to use it cause for some it may be the best thing they have ever tried. I was 23 yo. When they had the study and I am so glad that I was part of it. I have been looking for a new Dr. Since I moved so that I can get a new script, I hate being without my epiduo. I like the helpful information you provide in your articles. I?l bookmark your weblog and check again here regularly. I’m quite certain I will learn plenty of new stuff right here! Best of luck for the next! I was just prescribed epiduo, and it dried out my face way too much. Im getting wrinkles because of it and im only 15. DO NOT use it if you have even slightly sensitive skin. it hurts like hell.